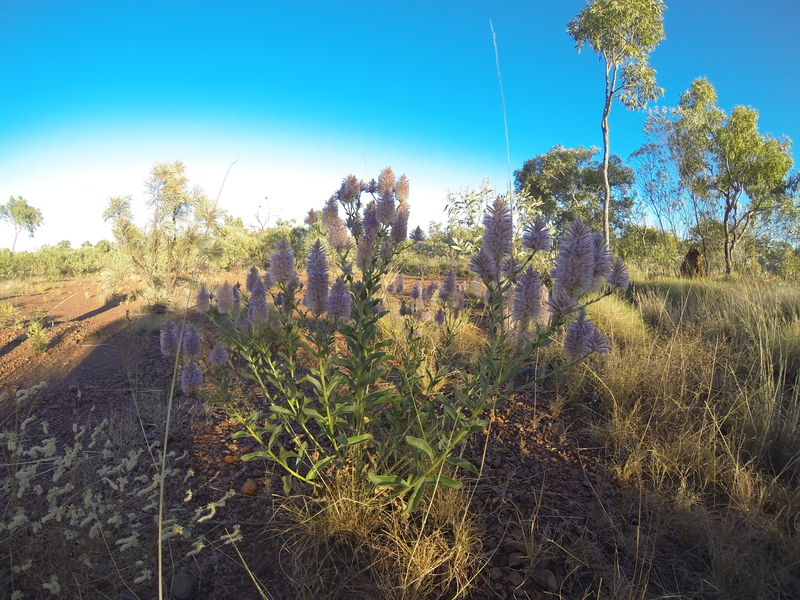 Sorry about the delay in writing this final post but I’ve been travelling around the top end catching up with friends and have just finally gotten back to uni and my laptop (the others were done on my phone). We woke early as normal and began to pack up our camp for what would be the last time of the trip. While we rolled up swags,stuffed our sleeping bags and folded tarps James set about fixing his flat tire with the last of the spare tubes. It wasn’t long before James had the broken tube out, the new tube in and the tire back on the bike so hit the road again. 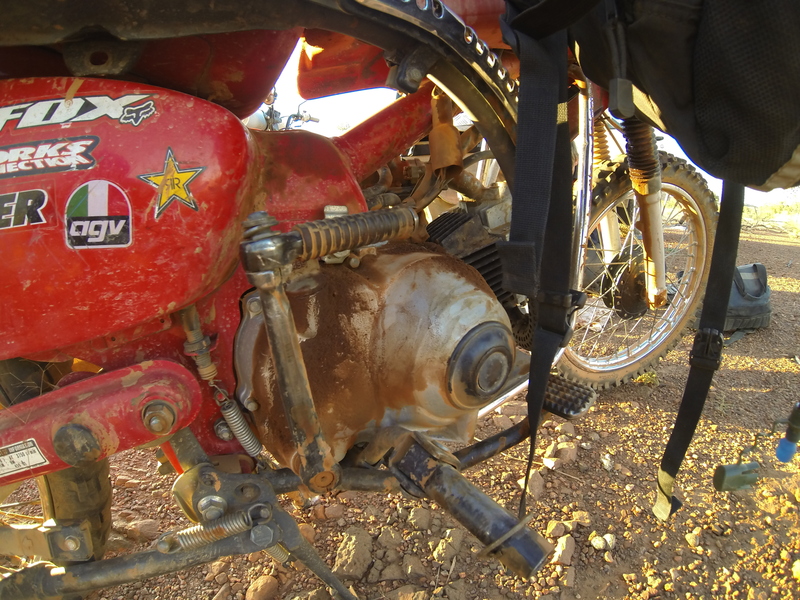 With two broken spokes on my bike and only 20km of dirt to go I was unusually steady until we reached the end of the Tanami Track in an attempt to keep my remaining spokes in one piece. Fortunately this section of the Tanami was best we had encountered along the entire road and we soon made it to the tar reasonably quickly and without any more breakages. 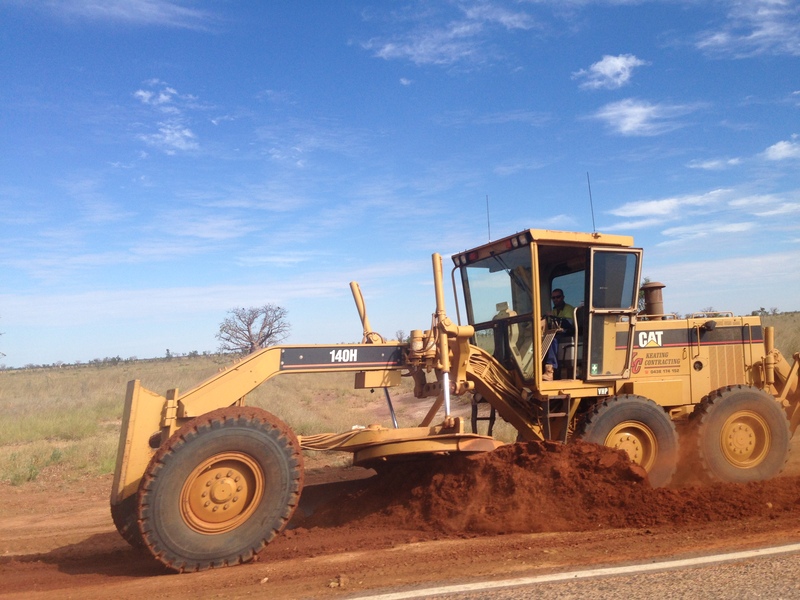 I just about kissed the tar road when finally left the Tanami as there’d be no more dirt, no more corrugations and breakdowns, or so we thought. We gave the bikes a quick check over and then turned left for Broome and opened them up, cruising along we took in stunning Kimberly scenery with its rolling hills, open flats and towering rocky escarpments. We reached Fitzroy Crossing without incident, had a quick spot of lunch at the road house and James did a interview with ABC radio in Broome before we headed off again. We left Fitzroy Crossing and just upped it, running the bikes flat out keen to do the final 400km and reach Broome by the end of the day. All was going well for a while until my bike started to loose power and act a bit strange, we pulled apart and cleaned out the carbie hoping that it would be the problem. After putting everything back together we took off again flat out with bike seeming to be fine, however 180km out of Broome disaster struck. The bike suddenly lost power while riding and gently coasted to a stop on the side of the road, we again tried the carbie along with a new spark plug and an oil change but we couldn’t get the bike to fire. We eventually decided to try and push the bike down a slight hill, it fired briefly but had no power and blew more smoke than a steam train. 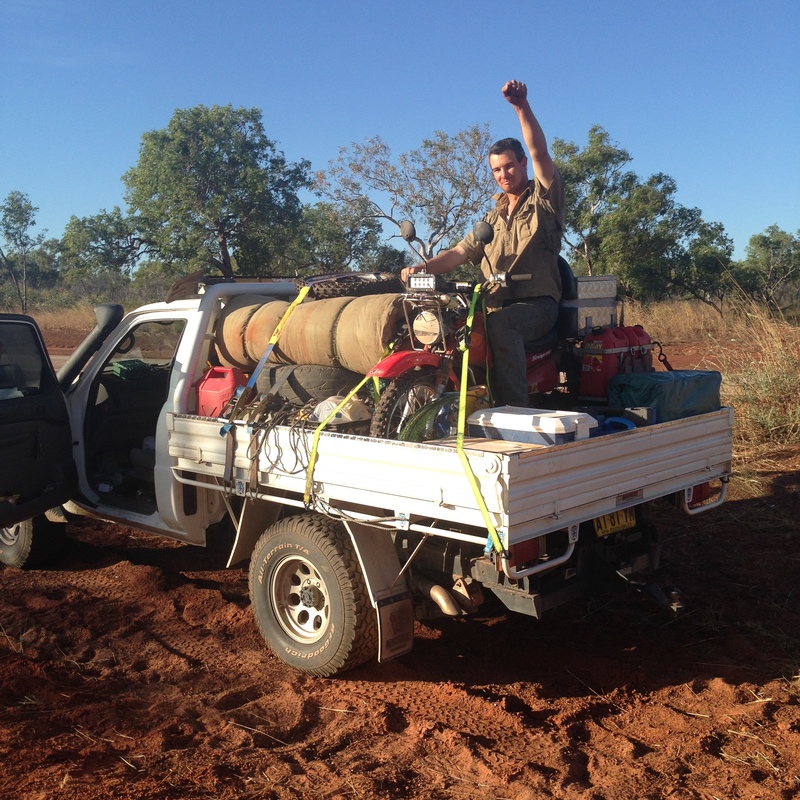 We decided that it must of done a piston ring and told James to continue on while myself and James’ dad loaded the bike into the ute. 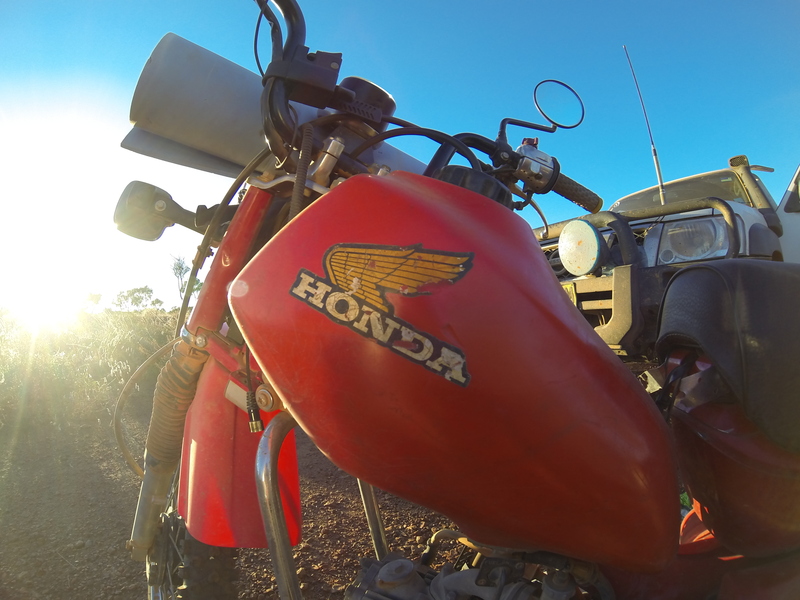 James rode onto Roebuck roadhouse while I rode in the ute, stopping to refuel and rest for a bit we got taking to some of locals before we headed inside for dinner. After dinner the sun had set but we decided that we keep going the final 30km into Broome so we could finish the trip in 10 days. We arrived in Broome after the short uneventful ride and set about finding a camp for the night, even though the town was crowded we eventually found a spot at the Cable Beach Caravan Park and set up camp. The East to West Postie Ride for Farmers had come to an end. The ride was an incredible experience and a lot of fun, even though only one bike made it into Broome I still believe that we both have succeed in getting their. More importantly we succeed in reaching and exceeding or $10,000 goal for Aussie Helpers with the current total sitting at around $10,800 at time of writing. Both myself and James would like to thank everyone that has donated and everyone that has cheered us on and supported us along the way. 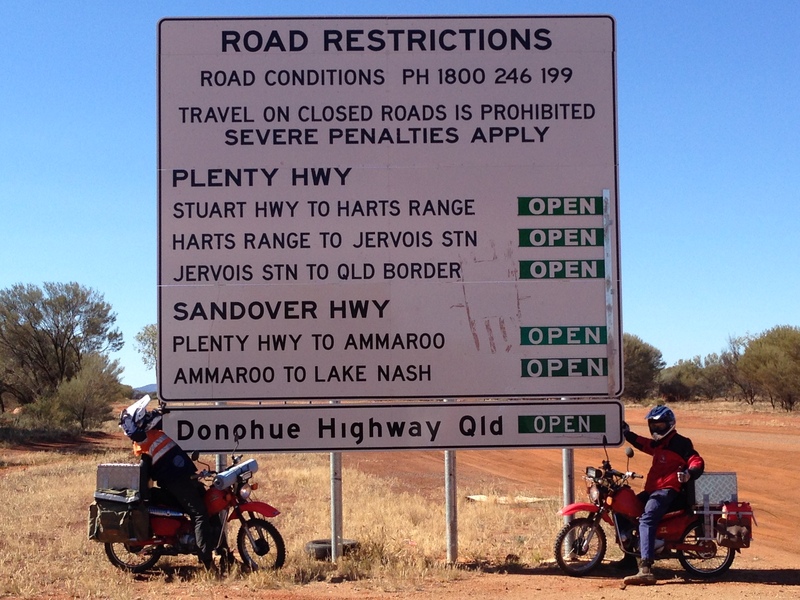 This entry was posted in The Trip and tagged bike, Broome, The bike.